Update (4/11/2019): The game's silver chest timer has been reduced from three hours to one hour, which may prevent players from accumulating such a large number of unopened chests. The Elder Scrolls: Blades is a free-to-play role-playing game in the popular Elder Scrolls series. While other games in the series, such as The Elder Scrolls V: Skyrim and The Elder Scrolls Online are rated M due to their adult content, The Elder Scrolls: Blades is rated T, so it’s more appropriate for younger players (13+). In The Elder Scrolls: Blades, players become one of the Blades, a group of elite agents who were sent into exile following the Great War between the Empire and the Elves. 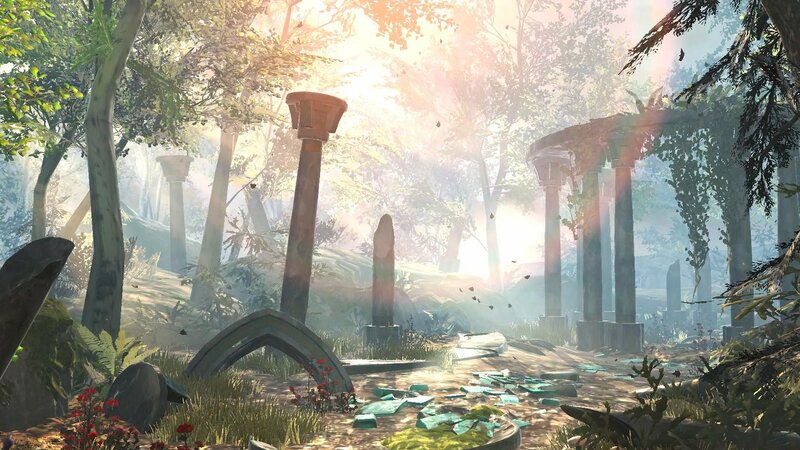 Players will return to their hometown, which is in ruins, and must complete quests to rebuild it. Players can customize their hero by choosing its race, gender, facial features, and more. Gameplay takes a first-person perspective (the camera is looking through the eyes of the hero). Players can tap on the ground to walk to that location (or use virtual joysticks for movement, if they prefer), and tap on glowing objects to interact with them. For instance, tapping on a food item may restore some of their health, while tapping an enemy initiates combat. During battle, players can tap and hold on the screen to attack, and tap on special icons to trigger their character’s skills. As players defeat enemies and complete other in-game actions, their character will level up, and they’ll be able to spend in-game points to unlock and upgrade skills and abilities for their hero to make them stronger. Players can also collect a variety of loot while playing. Players can equip items like weapons and armor to make their hero stronger, while materials like lumber and limestone are used in construction and crafting back at their hometown. While The Elder Scrolls: Blades is free-to-play, it does contain lots of (optional) ways to spend real money. For example, players can collect chests as they complete quests. Chests take time to open, but players can spend premium currency (real money) to open them instantly. Since players can only open one chest at a time, it’s possible for them to accumulate large numbers of chests that they have to wait to open, if they’re unwilling to spend real money. As reported by Forbes, The Elder Scrolls Twitter account confirmed the team is paying attention to player feedback related to this feature, so it’s possible it may change in the future. The game also allows players to buy chests outright in the in-game store and/or purchase inventory upgrades that allow them to carry more items at one time. These aren’t all of the in-app purchases that are available. The Elder Scrolls: Blades is available to download for free on iOS and Android devices. The game is technically in “Early Access,” and additional features, like a competitive multiplayer mode, will be added after the game’s official launch. Check out the first 17 minutes of The Elder Scrolls: Blades in our SuperParent First Look below to see the game in action.